Bucket List Egypt- What are the Best Things to Do in Egypt? In the U.S., we grew up learning about ancient Egypt, the pharaohs, Cleopatra, the Egyptian pyramids, the flooding cycle of the Nile, all of it. All my life I looked forward to visiting the land of the pharaohs. It was with rabid excitement that I stepped off the plane to walk through a chaotic customs. I reveled in the queue, the stamps, the smell, and the run-down look of everything. I could not wait to get out into the frenetic city of Cairo and start exploring. 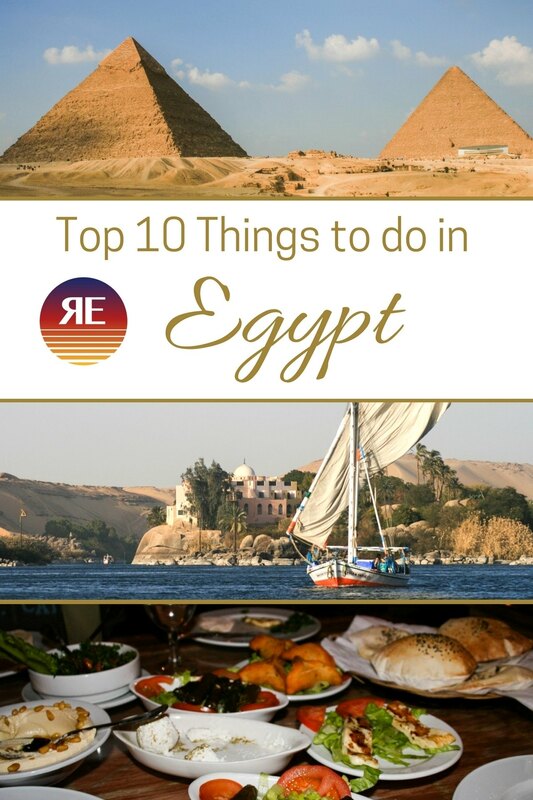 The country was definitely full of my bucket list items, and I couldn’t wait to get started checking out all the historical places in and all the best places to go, finding the ultimate list of things to do in Egypt. Egypt had been on my bucket list since I was a kid. I couldn’t believe the fantastic trip we planned, and the historical sites of Egypt really lived up to my expectations. Have you visited Egypt? What is on your top 10 list? Egypt has been in the news in recent years, and it’s natural for folks to ask, “Is Egypt safe?” or “Is Cairo safe?” Well, yes it is. It’s as safe as anywhere else. Chances are you will not meet anyone that makes you feel threatened. Probably the most unsafe you will be is crossing the road. Street traffic can get a little crazy. Luckily, you really don’t have to drive in Egypt, because there are plenty of ways to travel through the country whether you are on an organized Egypt tour or not. While we were there, we took a car taxi, a boat taxi, rode a felluca, a horse-drawn carriage, horses, camels, and the overnight train. It wasn’t very difficult and we always felt quite safe. You just can’t go to Egypt and not experience the Nile. Whether you take a Nile cruise or you hire a felluca for a ride, like we did, this is one of the best things to do in Egypt. Pin the Top 10 of Egypt for when you start planning your trip! With its crocodiles and hippos, we couldn’t wait to see the Nile. We took a trip to the banks just to look not long after we arrived. We also went straight to the train station to arrange our tickets to Luxor where we would ride a felluca on the river. Some people take Nile cruises on large boats, and some people take a few days on a felluca. Regardless what works for you, spending some time on the life-giving waters of the Nile is a must! 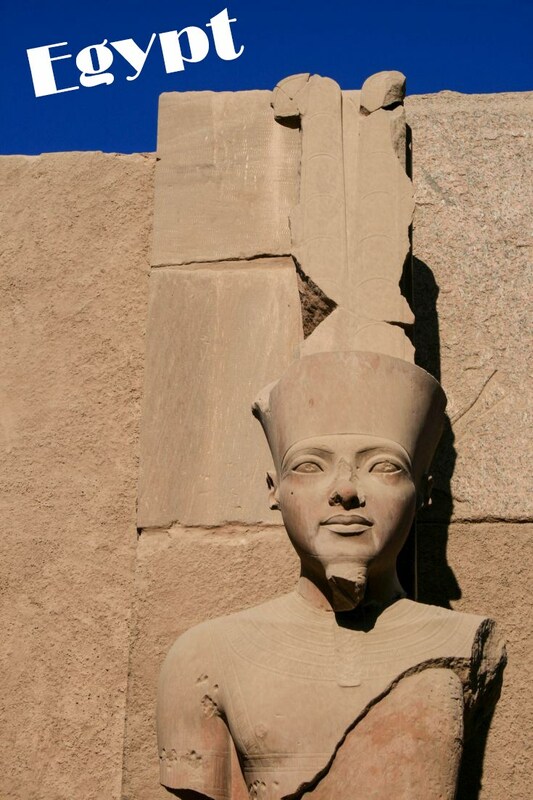 Karnak Temple in Luxor is one of the most famous sights in Egypt…and with a good reason! It was one of my favorites of the entire trip! 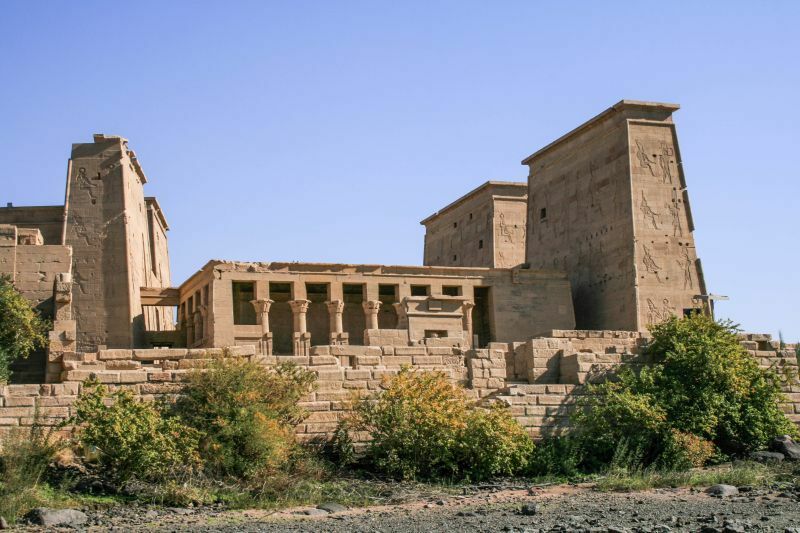 By far one of our favorite sites, Karnak Temple (a UNESCO World Heritage Site) is everything we expected and more. Tall majestic statues, lines of lions, scarabs, palms, and lots of frescoes and carvings, it is a marvel. To think it was erected two thousand years ago just boggles the mind. A very important temple in its day, it was dedicated to the God Arun. 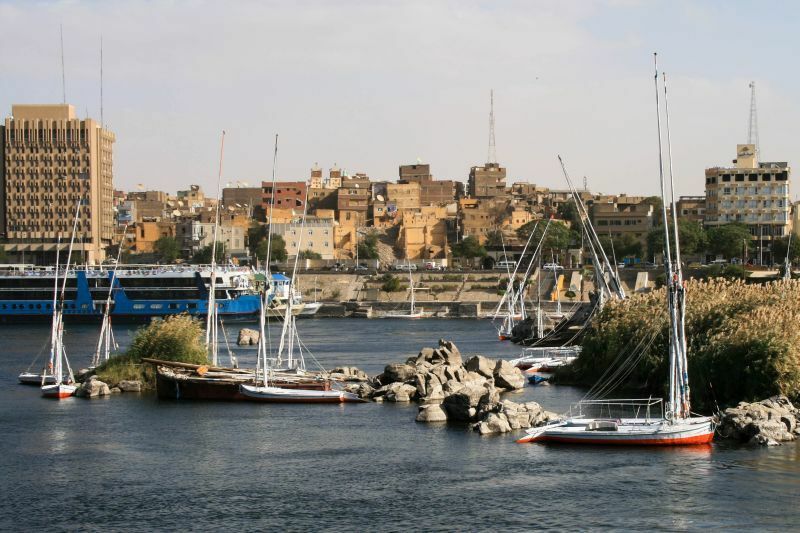 Each year it hosted a festival to realign the chaos of the Nile flooding. 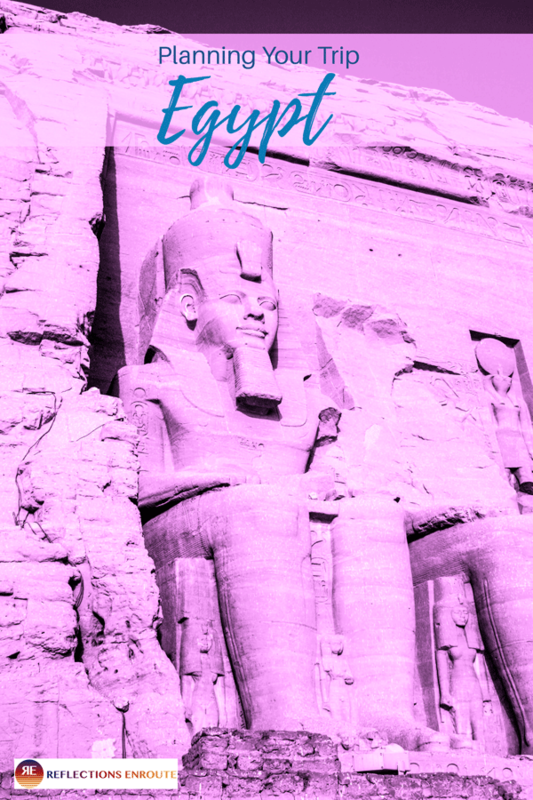 Visiting Abu Simbel is one of the most unique things to do in Egypt. We opted to go by van on a private Egypt tour. If it wasn’t impressive enough when it was built to honor Ramses II, the whole temple complex was moved when the Aswan High Dam was built in 1968. What a feat! 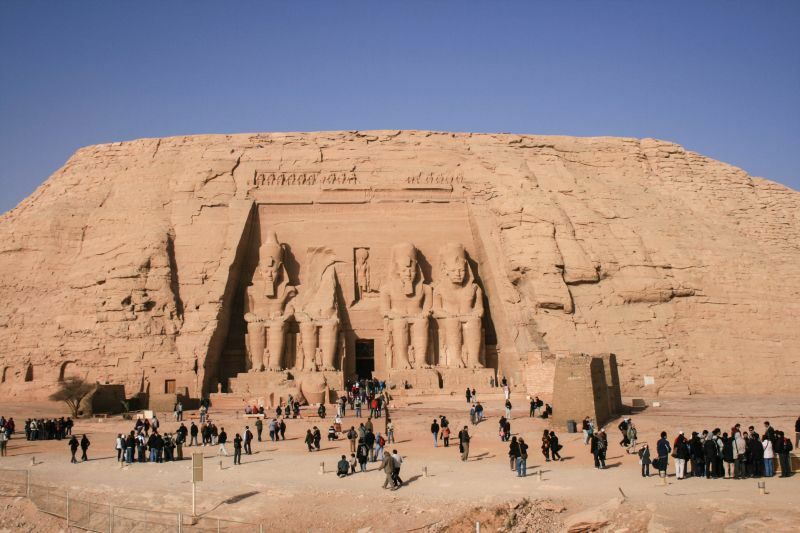 Getting to this world heritage site, Abu Simbel, is half of the adventure. Unless you fly in, you must attach yourselves to a tour group that leaves extremely early in the morning and drives as a caravan through the early morning desert. The huge stone temples are so big that it is a bit overwhelming. The first thing you notice are the four colossal statues carved into the temples that stand over 20 meters high. 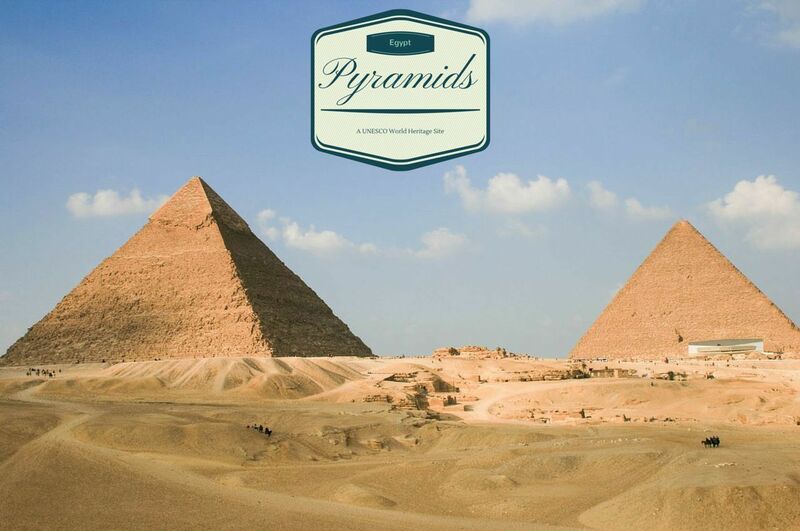 There’s no question that when visiting Egypt you are going to go to the pyramids of Giza. What an experience! 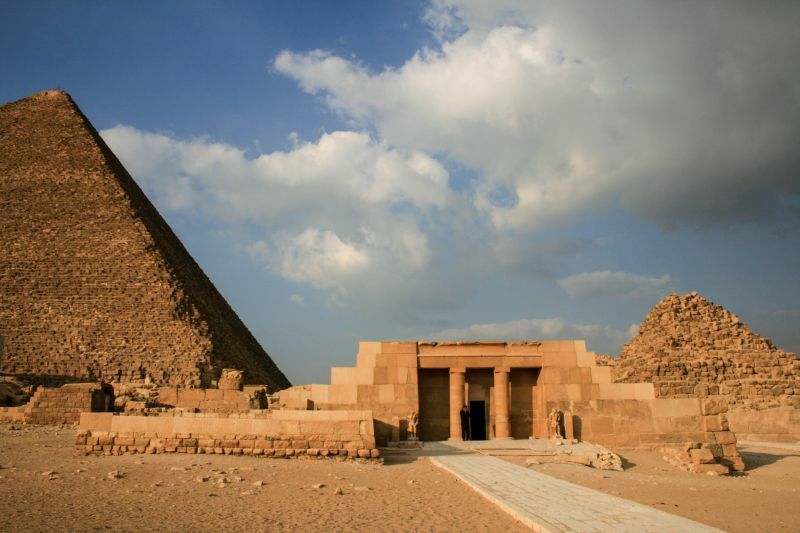 It would be very surprising to find out someone had visited Egypt and did not visit the pyramids at Giza since they are within the Cairo area, and they are one of the most famous things to do in Egypt. That is why the site is completely set up for tourists. There are guides, horses, camels, horse carts, photographers, and of course souvenirs. It is a bit much to take, and it is usually crowded, but visiting the pyramids is still a must. 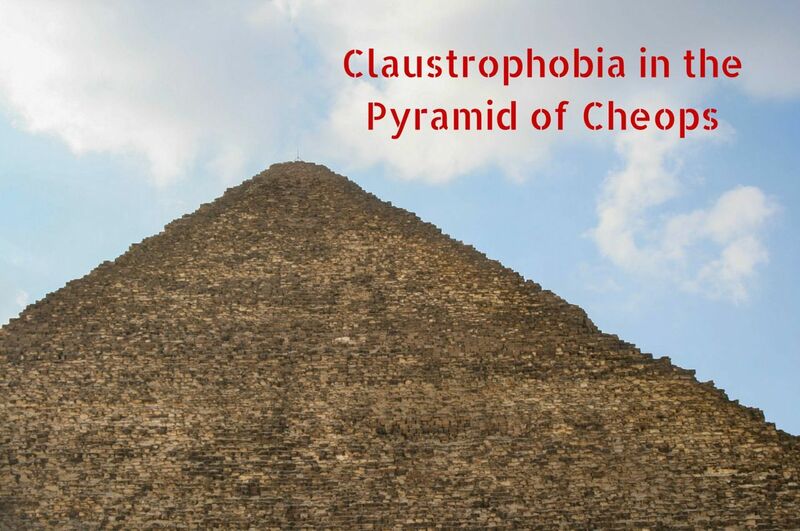 You can enter some of the pyramids, like the Great Pyramid of Khufu for an extra fee. It is dark, narrow, and claustrophobic as you ascend the small wooden walkway to get to the central chamber. The Valley of the Kings, and especially King Tut’s tomb, is a must-see! 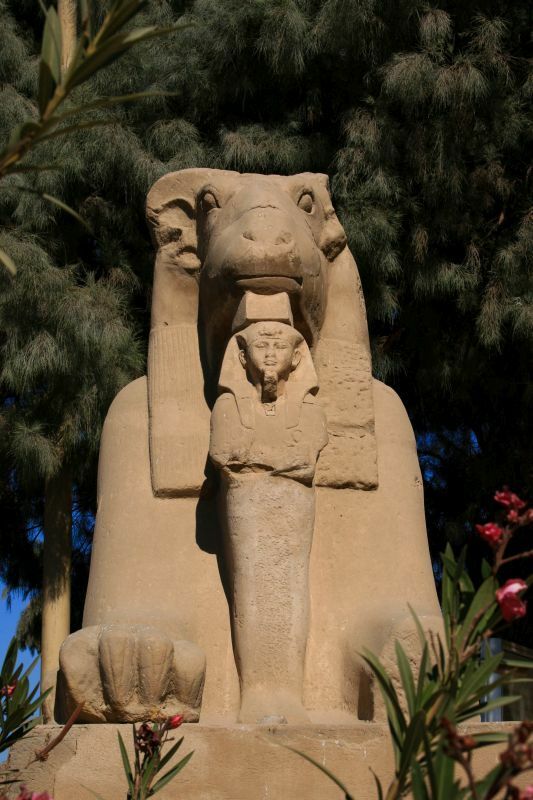 On the west side of the Nile, near Luxor, is the Valley of the Kings (also a world heritage site). Located in a natural wadi (valley eroded by water), archaeologists have located 63 tombs for the kings and royalty of the New Kingdom. Many had been robbed, but many like the most famous one of King Tut were left untouched and full of treasures for thousands of years. Each tomb is completely different, and it is worth paying extra to see them since only three are included in the entry price. 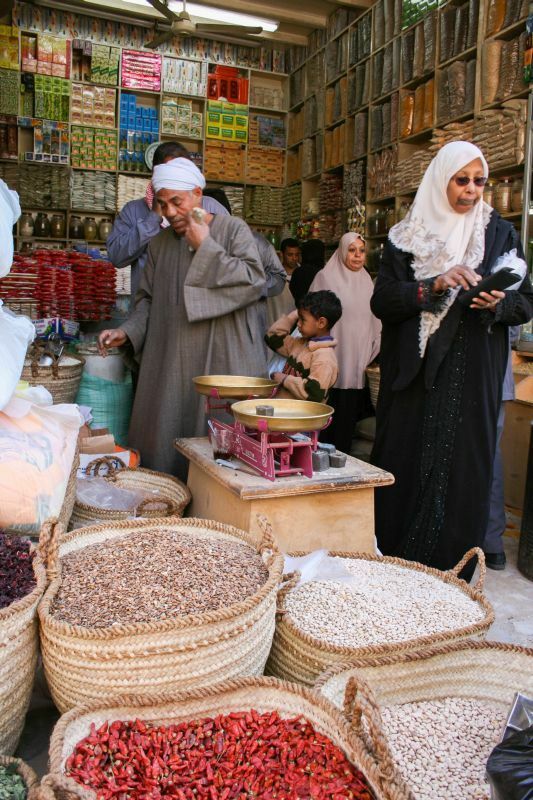 Shoppers at the market in Cairo. Cairo is a huge, bustling, chaotic city, but well worth spending some time in. The market area is especially interesting. Spices, souvenirs, food, really all kinds of things can be found and bought there. Even if you’re not a shopper, though, people-watching is always best at a market. Here you can find a tea or hookah cafe and while away the hours watching the vendors and customers alike. Cairo also is the home of the Egyptian Museum which, along with all of its other treasures, houses the contents of King Tut’s tomb. Full of gold, sarcophagi, and all things Egyptian, it is well worth arriving there first thing in the morning and planning on taking some time. And don’t miss the mummies! Egypt Budget – How Much Does a Trip to Egypt Cost? Every inner child wants to break the hieroglyphics code. Luckily you can practice at any of the Egyptian historical sights. 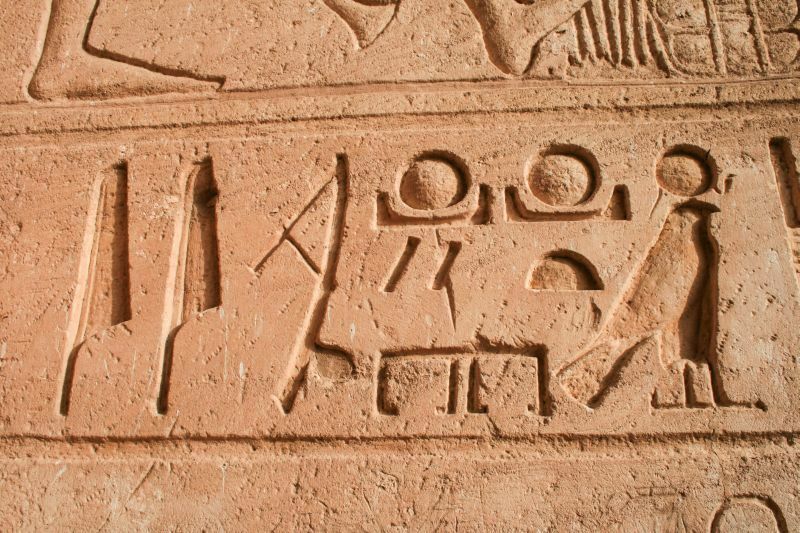 Deciphering the ancient writing of the Egyptians is fun and entertaining for visitors of all ages. There are coloring books and informational texts that will aid in translation, but it is so much fun to wander through a temple and see how extensive the writing was. It is on carvings and frescoes, walls, columns, everywhere. Can you read it? Riding a camel maybe be a bit cliché, but it is an absolute must-do! We skipped riding then in Giza, since it was too touristy and expensive and instead rode them out in the desert near Luxor. 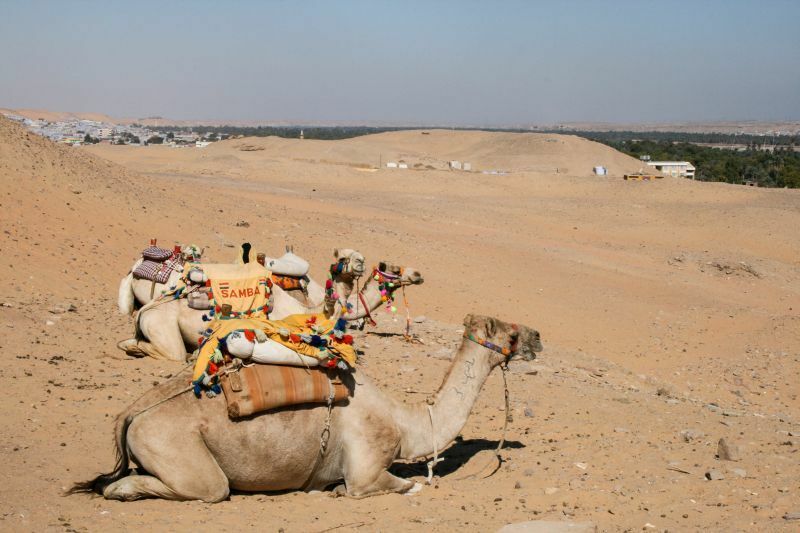 There are many opportunities to head out to the desert and ride a camel. Probably the most popular place is in Giza, but if you will be traveling to other cities, cost and time-wise it will be better to wait. One fun place to ride is across the river from Luxor. Camels are rented and ridden on an ancient road to the monastery. It’s an experience of a life-time, especially when you see plenty of locals on both camels and donkeys sharing the “road” with you. Colorful buildings in a Nubian village on the other side of the river from Luxor. What a bonus on our itinerary, because it wasn’t something that we had previously planned on doing, but it was very worth it. Unlike the Egyptians, the Nubians are a completely different people. They look different, have different customs, and live in colorfully painted villages. 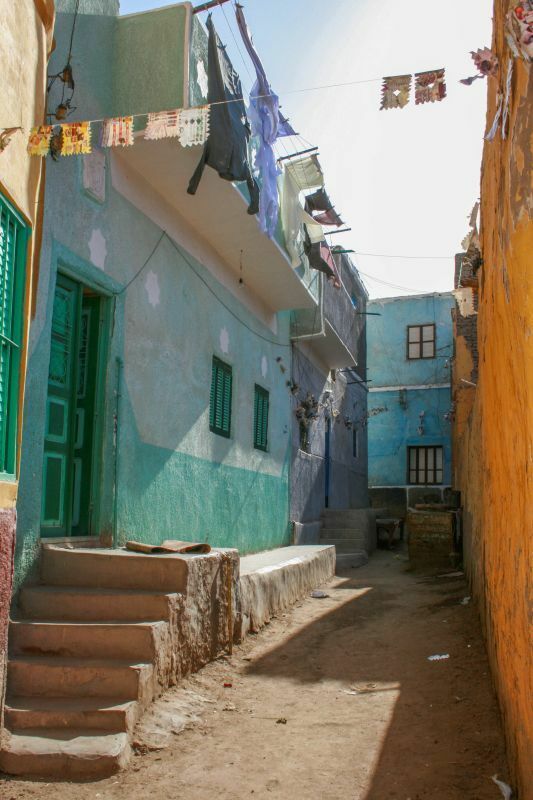 Walking around a Nubian village is like being transported to another country and time altogether. One of the easiest ones to visit is across the river from Luxor, and all you have to do is take a water-taxi to get there. 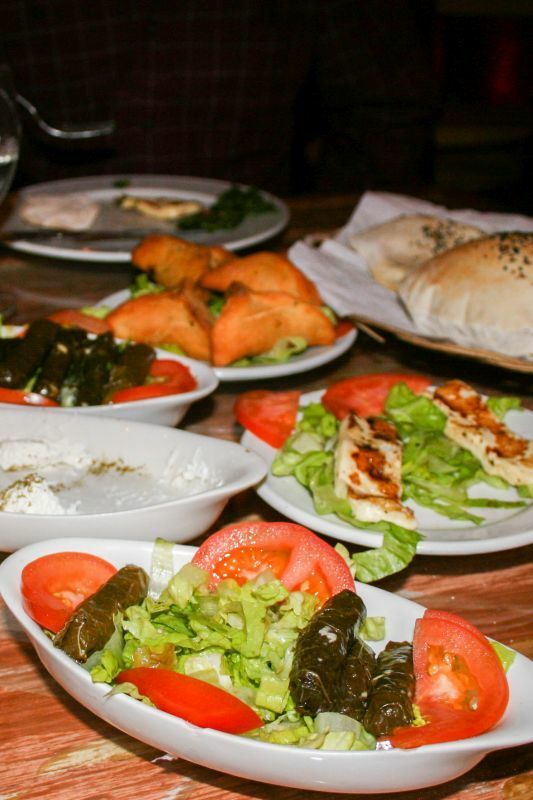 The food of Egypt was varied and delicious. I love stuffed grape leaves and their puffy bread. No trip is complete without sampling the local delicacies. From sugar cane juice to tea, from kebabs to stuffed vegetables there is a lot to try and a favorite dish for everyones’s palate. In Cairo you will find fast food sandwich stalls that are quick and tasty. Some of our favorites were the liver sandwiches, the stuffed grapeleaves, and of course the many spreads like Baba Ghannoug to smear your bread with and savor. Like many countries there is a difference in price for Egyptians and tourists, a big difference. Be prepared to pay for your opportunity to visit many of the tombs, pyramids, and temples. 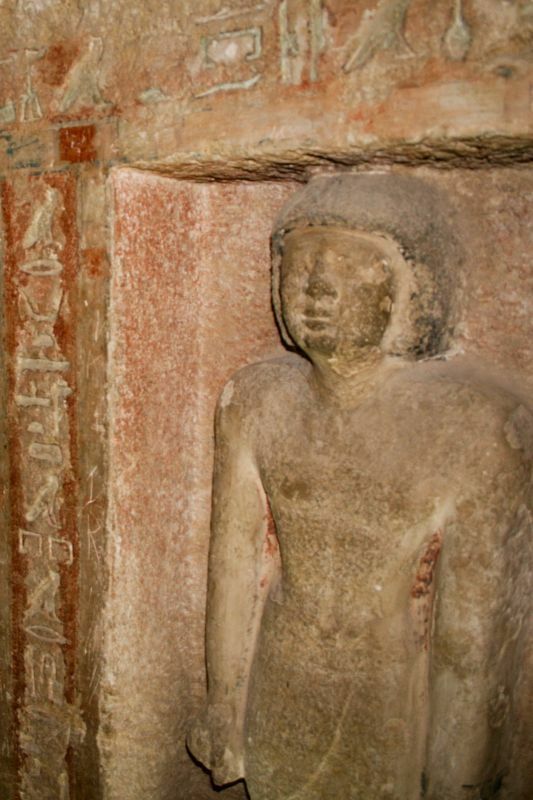 In almost every case, there is an overall entry price which allows you admission to the site as well as some of the lesser known tombs and areas, but for the big names there will be an additional cost, sometimes rather exorbitant. King Tut’s tomb is probably the best example of this. Photography is not allowed inside the tombs and temples, but of course you will see plenty of people taking photos nonetheless. Often a guard will look the other way when offered “baksheesh” (a tip). If you are allowed to take photographs, please remember that the flash deteriorates the frescoes, so it is much better to take the photos with whatever light is available. Getting around Egypt takes a little bit of effort, but is completely doable. There are domestic flights that are reasonably priced as well as trains that traverse the majority of the country. The cheapest way to get around is by bus. If you plan on taking private cars or taxis, you will pay for the privilege. Day tours provide a driver and guide which will help you negotiate throughout. The Pyramids of Giza, Are They Worth It? How incredible!! I’d love to visit Egypt someday. One question – did you have any issues on terms of safety? Michelle, No. I think you would be very safe, but of course there are always precautions that you can take. In the current world situation, I would sty in small groups. It’s worth it! Krista, Hah! I love it! Those four colossal statues at ABu Simbel aren’t comparable to anything else. They are some of the most amazing attractions across the entire world. I just love them. Rahman, I know. They are amazing. Egypt was definitely full of interesting sights! I’ve never been to Egypt but my husband has so I need to drag him back as these sites all look wonderful! 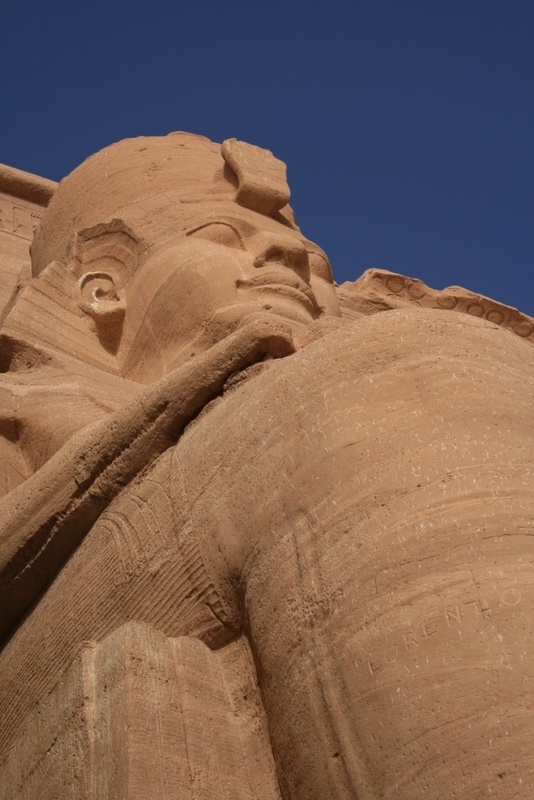 I hadn’t really known much about Abu Simbel but it looks magnificent! Shikha, Abu Simbel is quite the experience. I hope you make it there soon! This looks absolutely amazing. 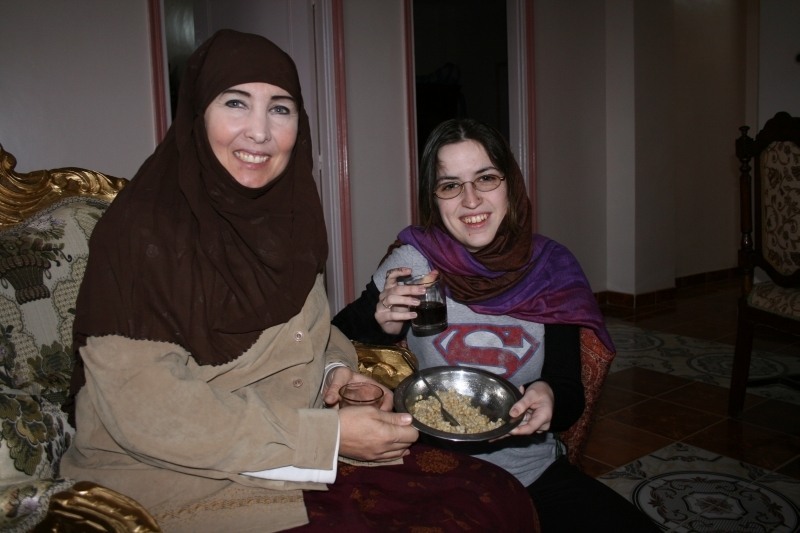 Egypt has been on my list for years, but I’ve heard many mixed stories from travelers. From what I hear it’s either a ‘you hate it or love it’ kinda place. So I’m quite curious! Esther, It is a polarizing place, I certainly would agree with that! This is just wonderful. All of these amazing places in one single country. Egypt is somewhere we hope to visit sometime. Leah, I hope you get there soon! It’s so full of interesting places. Egypt is the one place in the world I think everyone should go at least once in their lifetime. Lyn, I agree with you wholeheartedly. Although if you plan to travel in the Middle East, I would recommend other countries first. I’m always amazed at how many places you’ve been to, Corinne! 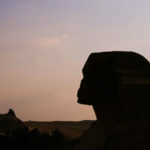 Egypt is one of my top destinations on my travel wishlist! Everything about it sounds so exciting and exotic to me! I would love to explore its market, and the Nubian Village (which I haven’t heard of before) looks so cute! Anna, I think everyone needs to go to Egypt…and especially a Nubian village. I would love to visit Egypt and the pyramids some time. This is such a great list and a nice departure from many of the “Egypt was a disappoinment” blog posts I’ve been reading lately. You’ve given me so many great ideas. My hubby went once when he was a kid and has decided that once in a lifetime is enough. I need to change his mind. 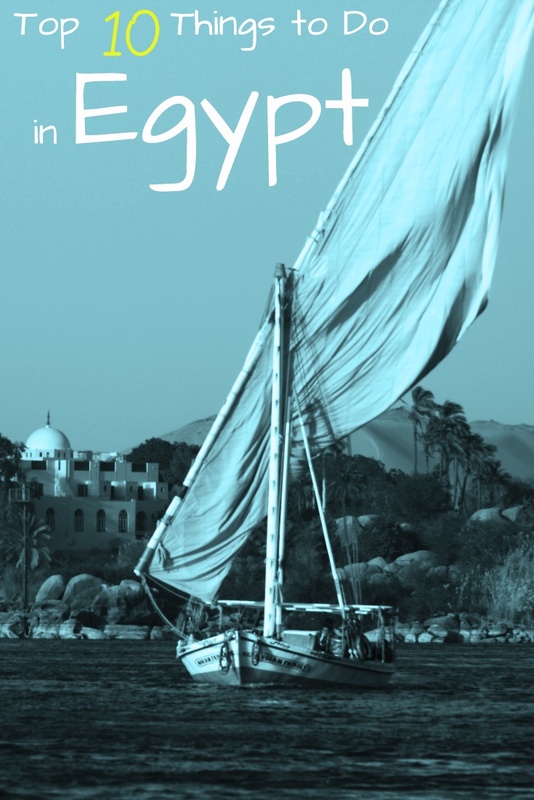 Michele, Eygpt is its own place, with a few things that made it a bit…frustrating at times, but isn’t all travel?! Awesome, we did almost all of these (bar one). My fave was the Nubian village. SJ! I’m so curious which one you didn’t do! I still wonder why I haven’t made it to Egypt yet. We almost did in 2012. I had a guide lined up and was all set to book, when our plans changed, and friends invited us to France. Somehow it never made it back on the itinerary. One day. I love your photos, they both satisfy my desire to see more and increase my longing to get there. As for paying a different price than the locals, it reminds me of Morocco or Russia. Rhonda, Yes, paying a different price is normal but honestly a few were astronomical! Fabiana, There is so much to do, research is really important! Have fun! Loved this post, Corinne! 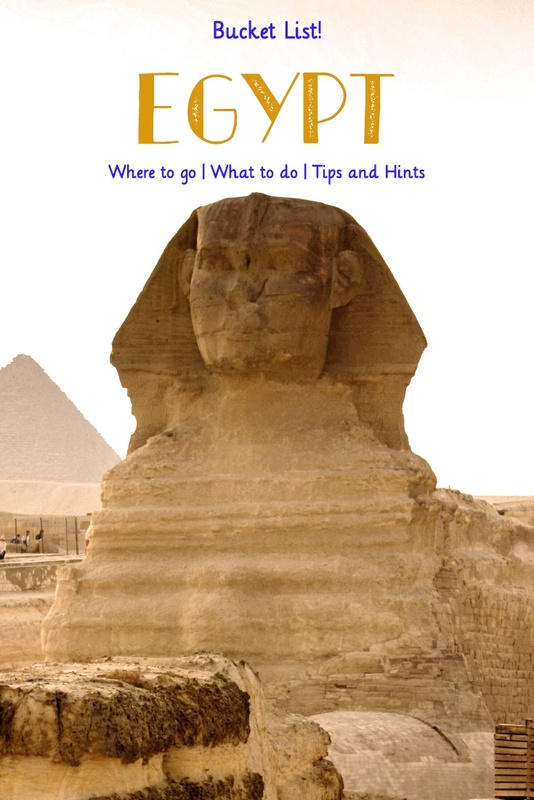 I would love to get to Egypt someday, and do all ten things on your list! Abu Simbel looks amazing. Are there still a lot of tourists going to Egypt? I’ve heard a lot of reports about a slowdown in tourism. I’ve heard that it’s affecting especially the Red Sea resorts (which I’m told quite spectacular). Nice post, very impressive photos. Frank, I think tourism had been hit hard in Northern Africa. It’s unfortunate because the media wants us to think it is completely unsafe. I had absolutely no idea you wrote so much on Egypt! We’ll be sharing it all soon on Egyptian Sidekick! i went there several times and spent there the most beautiful holidays!! Ale, It is beautiful in Egypt! Great choices and I love the photos! I’d love to visit Egypt someday. Egypt was definitely full of interesting sights! I like how you covered the main tourist attractions and the ones off the beaten path too. Egypt has long been on my travel wish list. I can’t even begin to imagine how it would feel to finally see those temples up close. They are some of the most amazing attractions across the entire world. I just love them. Abel, Egypt is a country filled with wonders. Egypt is so larger than life and its sights are really massive and magnificent. I am always fascinated by the Egyptian culture and its history. The temple of Karnak is really awesome, what a great structure, really breathtaking. Vyjay, I think Egypt has an amazing history. We loved seeing all the objects we’d see in history books. Wonderful. The Colossi of Memnon, Unfinished Obelisk, solar boat, Saqqara, Cataract Hotel (Agatha Christies Death on the Nile), WissaWassa for local crafts( got some awesome batik works there). It’s been about 10 years since I was there but lots of beautiful memories.